On the completion of ten years, Kohlart proposes a revisitation and “re”presentation of the fundamental pillars of our entity – the artists and their art. 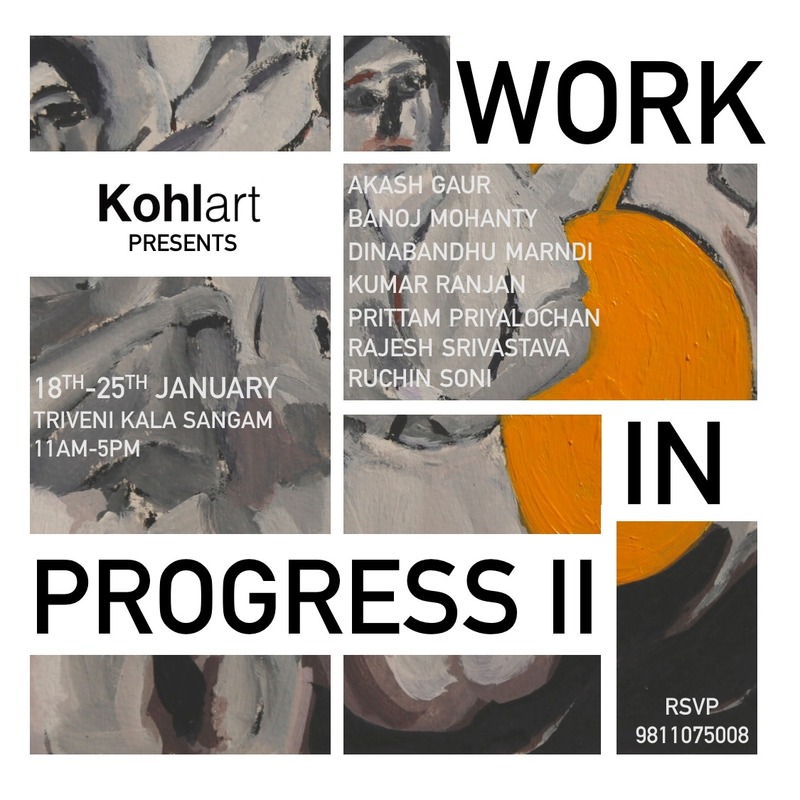 To share this decade long journey they present annual group show titled WORK IN PROGRESS. Since Kohlart’s founding in 2007, have consistently worked with contemporary regional artists from around the country. Our 2017 annual show brings to fore the quest of ten art practitioners over a decade. Work In Progress emerged as a resounding testament to Kohlart’s odyssey- for both the gallery and the artists. It is not only the professional and artistic progression of the artist that one intends to map through this exhibition. But the intention is to look closely at the linear to expose the binaries. When does an emerging artist “become” mid career? When does regional overlap or overtake the mainstream? The vocabulary to convey these stories remains a work in progress. The concept resounds with the past, present and future. Something that has happened, is happening and is moving forward- beyond the now. Kohlart will cull the essence of its own journey through the thoughts, words and works of the artists.